Kayamkulam Kochunni will also feature Amala Paul in the other lead role and is being directed by Roshan Andrrews. Kayamkulam Kochunni starring Nivin Pauly is said to be one of the biggest films in the actor’s career in which he would be seen playing a thief. 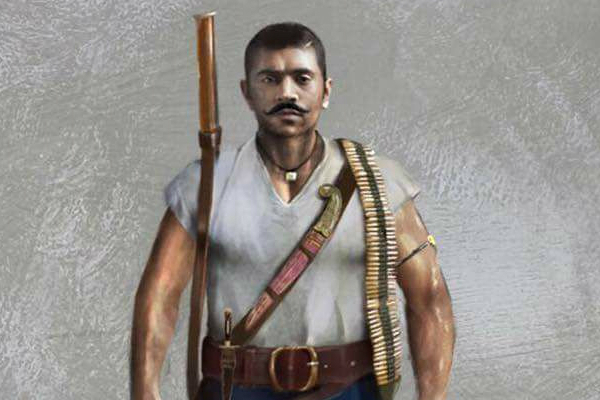 With unique and never-sported-before looks, Kayamkulam Kochunni will also feature Amala Paul in the other lead role and is being directed by Roshan Andrrews. Nivin Pauly has also learnt the art of Kalaripayattu which is a martial art which originated in Kerala. “Kayamkulam Kochunni is the biggest film for almost everyone associated with it. Rosshan chettan (director Rosshan Andrrews) is leaving no stone unturned for the pre-production of the film. He’s crystal clear about what he wants and being a period film, he has even made miniatures of every sets that have to be used for the film,” Nivin Pauly was quoted in a report in TOI. Nivin Pauly will sport the look of an old age thief look with a handle-bar moustache while Amala Paul has an unconventional 19th century look in the film. This will be the second time that Nivin Pauly and Amala Paul will team up after Mili which released in 2015. Nivin Pauly has couple of films lined up for release which are in post-production stage currently – Richie in Tamil and Hey Jude in Malayalama. Further details of Kayamkulam Kochunni are yet to be announced by the makers of the film. The actor just had a release – Njandukalude Nattil Oridavela – which has been receiving good reviews since opening. The actor also has quite a few interesting films lined up for release in the coming season – Moothon and Hey Jude.